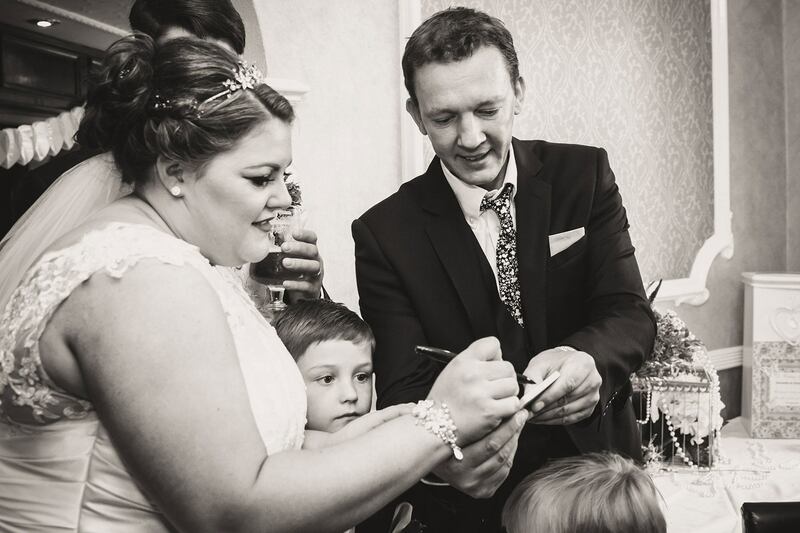 “We got married in Portstewart Golf Club (on Northern Ireland’s Gold Golfing Coast) on 6th July 2012 and decided on a theme of “The Mad Hatters Tea Party”. This decision of the theme being made almost solely upon the fact that we had seen Jez Mansfield in action and decided that he would best fit the role of the “Mad Hatter Magician”. What an inspired idea it was. While the photos were being taken, Jez entertained our guests and when the meal was being served he also keep them amused. 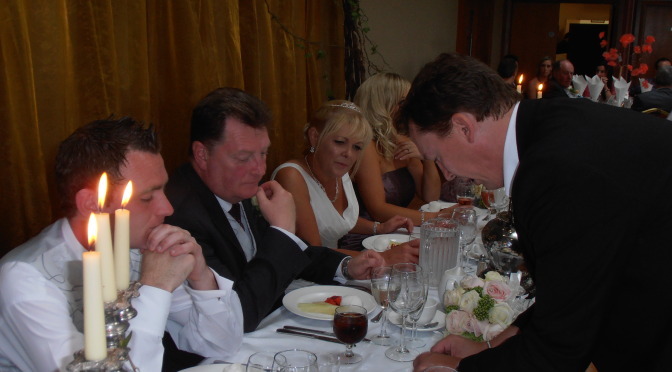 “We’d just like to say a big thank you for performing your magic at our Wedding Party on 30 October 2010.We really enjoyed the evening and you made it really special for us with that 5 minutes of ‘us’ time!